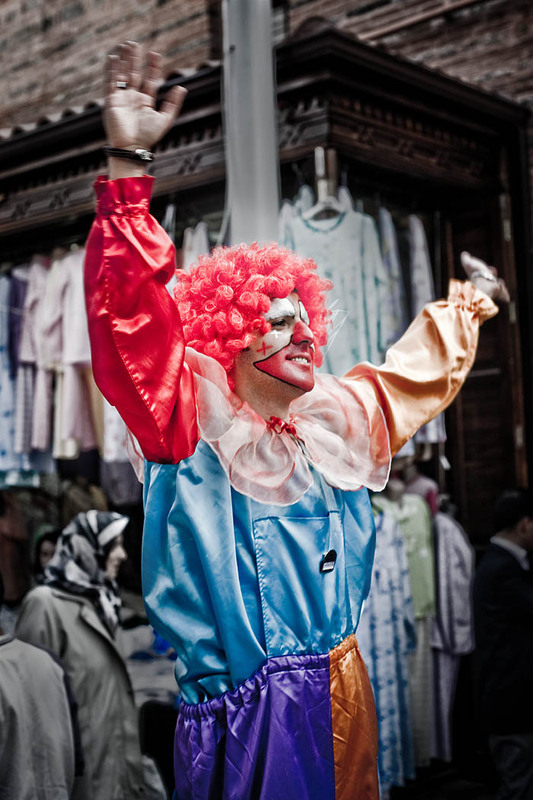 A clown in the old bazaar in Bursa, Turkey. Postprocessed with lightroom and cs3. I pushed a bit the sliders in Lightroom to give this glossy effect. Dodge/burn and light painting in Cs3. Nice selective colors, make him standout even more!